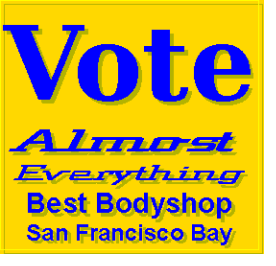 With just 30 days left in the annual San Francisco A-List Competition, Almost Everything Auto Body is in First Place out of 77 nominees. But vote counts keep growing and 1st, 2nd & 3rd place have changed a few times. 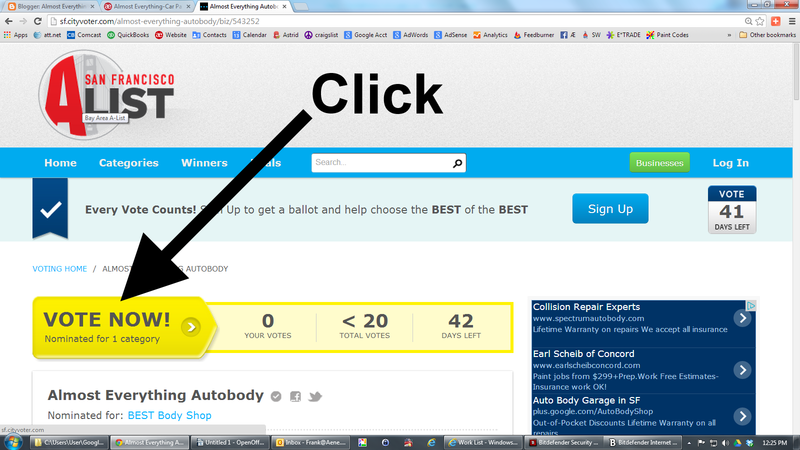 Please help us stay in the lead for our 3rd win in 4 years. 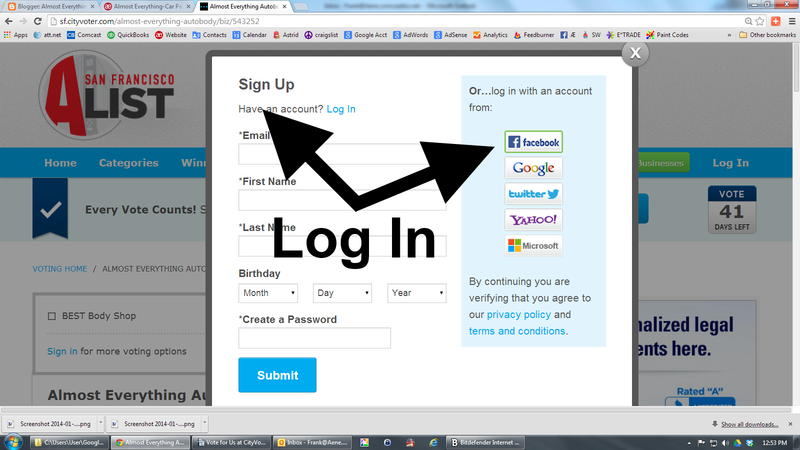 Sign in using Facebook, Google, Yahoo, Twitter or Microsoft. 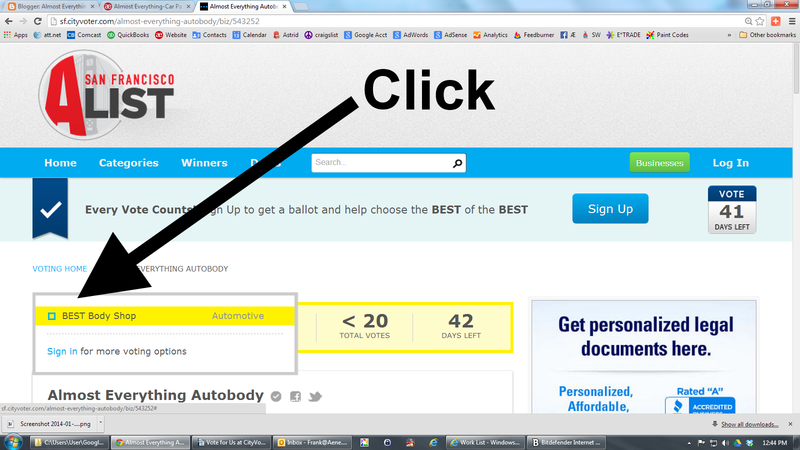 Then you can also vote for your other favorites. 2004 Vandalized Range Rover Repaint! 2008 Chevrolet Impala Bumper Replacement!